Price is based on double or twin hotel room occupancy and includes accommodation, transfers, car/driver, English-speaking guide, activities and entrance fees, breakfasts and some casual lunches while touring. Flights and optional special activities will be quoted separately. Most personal expenses, including dinners, alcoholic beverages, spa treatments and gratuities can be paid on the spot while traveling. Prices may vary depending on season, choice of accommodation and other factors. 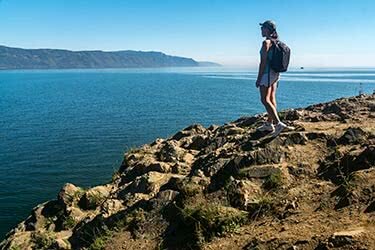 The world’s oldest and deepest freshwater lake, Baikal is a destination packed with jaw-dropping scenery, ancient mysteries and natural wonders. 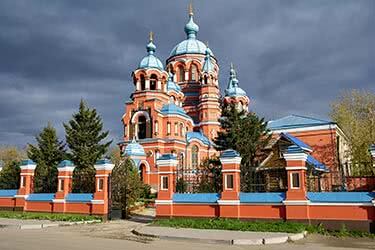 Embark aboard the ship Imperia for an eight-day tour of Baikal’s treasures, in floating comfort and luxury. Explore the mainland bays and sacred islands on this memorable adventure. 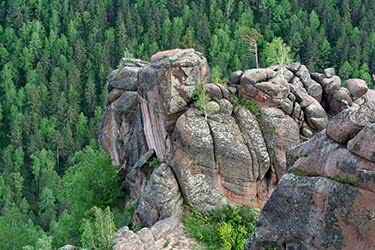 From the sand dunes and curved cliffs of Akademicheskaya Bay, the soaring peaks at Sosnovka and the view from Observation Rock to Russian baths and healing waters of the area’s natural hot springs, there’s recreation and relaxation for all. 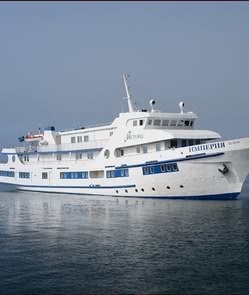 The same goes on board; boasting four-star facilities including swimming pool, sauna and on-deck entertainment, the Imperia is a floating hotel with all the amenities. Hop aboard the Imperia, your palatial floating home for eight days of exploring in Lake Baikal, the blue heart of Siberia. 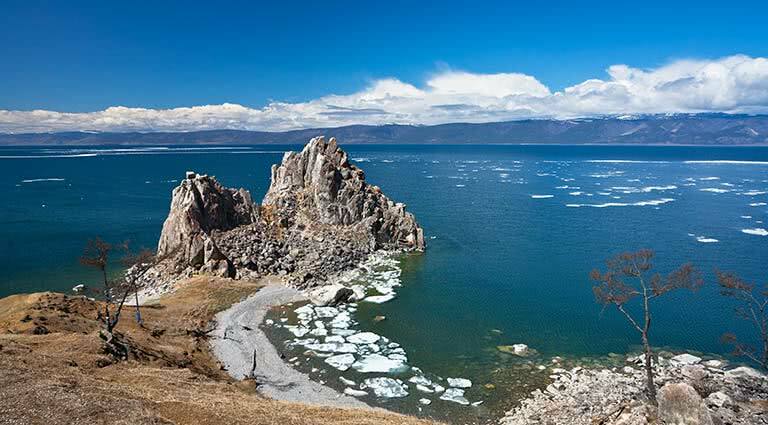 Lake Baikal, a UNESCO-designated site, is the oldest (25 million years) and deepest (1,700 m) lake in the world. 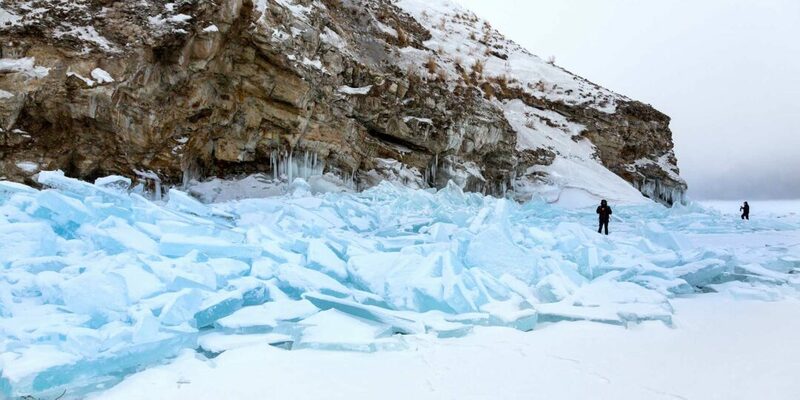 It contains 20% of the world's total unfrozen freshwater reserve. Set sail for the beautiful Kadilnaya Valley for a relaxing sauna and local cuisine. Visit the stunning caves and rock formations and take a picnic on the lake shore before sailing to Akademicheskaya Bay for its sand dunes and Russian baths. Enjoy dinner onboard the Imperia as you sail for Olkhon Island. 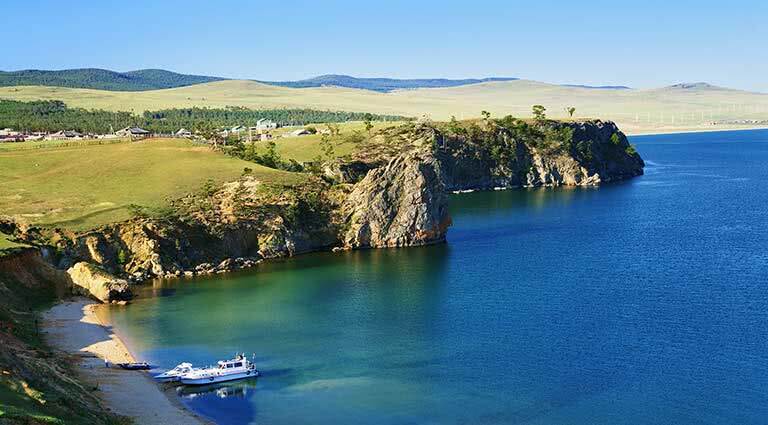 After breakfast onboard, disembark at Olkhon Island, the largest in Lake Baikal and an important center of ancient traditions. Visit the sacred rock and witness a shaman ceremony before exploring the flora and fauna. After lunch on board, explore the island in a Russian UAZ jeep and relax with a picnic of traditional fish soup cooked on an open fire. Enjoy leisure time aboard the Imperia for the evening. Early risers have the opportunity to visit a rookery of Baikal seals around the Small Ushkaniy Islands, a heavily protected nature reserve. During breakfast onboard, enjoy the scenery as you sail for Chiwirkuyskuy and Zmeinaya Bay, famous for its healing hot springs. Enjoy a swim or on-deck entertainment in the evening as you sail onwards. Enjoy breakfast onboard with the Barguzin Mountains overhead. Disembark at picturesque Sosnovka Bay, with a picnic lunch, ready for an excursion up the creek, between the peaks, glaciers and waterfalls. After an exhilarating day, enjoy dinner back on board and unwind in the ship sauna or your cozy cabin. Have a leisurely breakfast as the Imperia docks at Avaya Bay and disembark ready for another day trip. Take the hike inland to the sparkling Frolikha Lake, enjoy a picnic lunch on the shore and perhaps a refreshing dip. Pass the evening with a little entertainment on board as you sail onwards. Fuel up with a hearty breakfast. Disembark and enjoy a guided tour around the naturally beautiful Davsha settlement for the morning. Hop back onboard the Imperia for lunch and pass a relaxing afternoon to yourself enjoying the views and facilities as you sail back towards Akademicheskaya Bay. 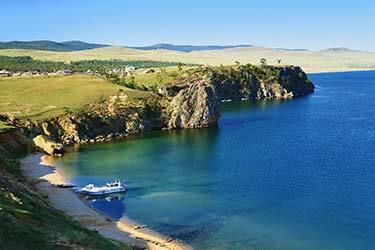 Known as the Siberian Riviera, the bay is one of the most scenic parts of Baikal, with its sculpted cliffs. Arriving after lunch, enjoy exploring this exquisite spot and take the hike from Peschanaya Bay to Observation Rock for a stunning panoramic view of the lake. Alternatively take the less strenuous Bell Tower walk for a view of Babushka Bay. Enjoy your final breakfast aboard the Imperia as you sail for the Listvyanka settlement at Irkutsk. Here you will say goodbye to beautiful Lake Baikal and depart for the airport or your next exciting destination. Known as the “Blue Eye of Siberia,” Lake Baikal is a vast turquoise-blue gem and the world’s deepest and oldest freshwater lake. It is graced with luxurious sandy beaches, ancient Buddhist stupas, and surrounded by immense, snow-capped mountains. Guests can enjoy prime views of these sights from the MS Imperia. The four-deck boat holds enough cabins for 45 guests and all rooms are comfortably furnished with such modern amenities as a television and DVD-player along with a bathroom equipped with shower and toilet. Deluxe suites also offer a double bed and Jacuzzi. While aboard, guests can savor such local dishes as fresh Baikal fish at the restaurant, relax over drinks at the bar, or enjoy the sauna, swimming pool, or fishing from the boat deck. The ship also stops at numerous sites, affording more views and additional opportunities to explore. 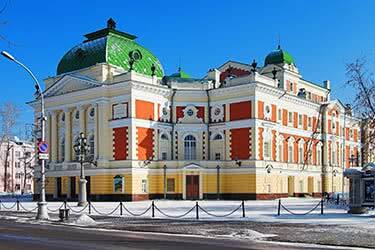 An extraordinary trip across an extraordinary part of the world takes you over Russia’s vast Siberia region in 15 action-packed days. Starting in the city of Irkutsk, head to Baikal Lake, explore the Altai Mountains and experience the world-famous Trans-Siberian Railway before ending the tour in Novosibirsk. 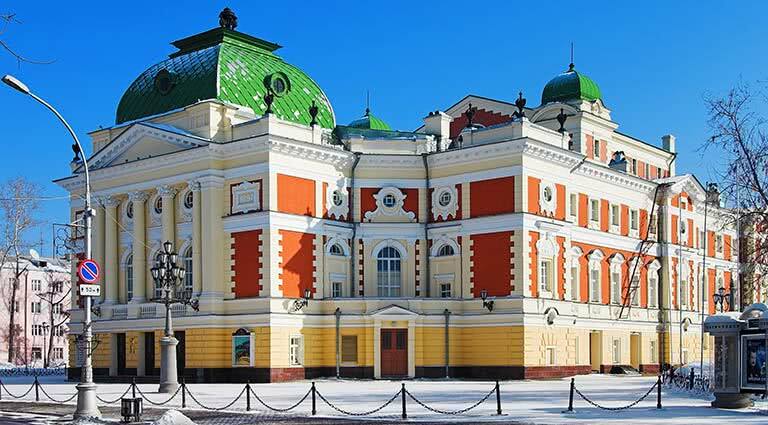 Discover the treasures of Yakutsk, Russia, on this seven-day tour of marvels. Be dazzled by the city’s precious stones, fascinating history and warmhearted hospitality. Sail to spectacular rock formations and celebrate the sunrise on a new year. 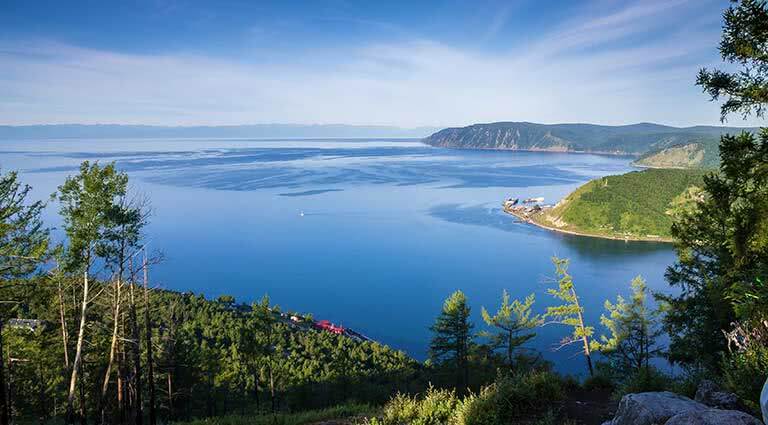 Both the largest and deepest freshwater lake in the world, Lake Baikal is one of Russia’s most spectacular, untouched wonders. 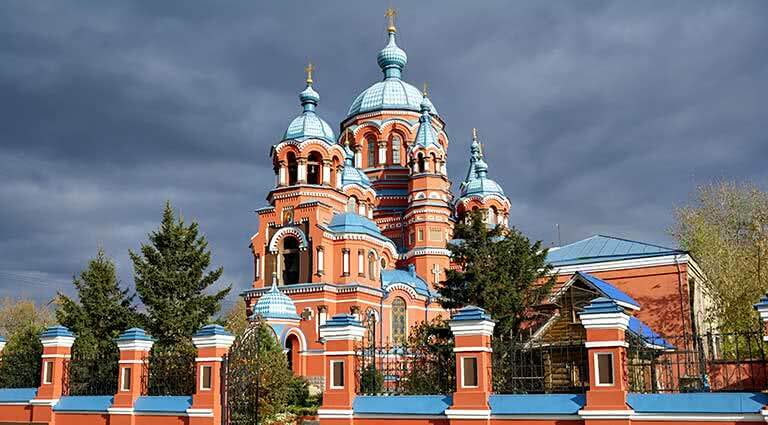 Adventure over land and water, whilst squeezing in the Trans-Siberian Railway, Olkhon Island, Zabaikalsky National and a temple complex at the heart of Buddhism in Russia. Ride the iconic Trans-Siberian Railway across beautifully picturesque and dreamlike landscapes over 16 days, stopping off at exquisite destinations en route. From Moscow to Vladivostok, enjoy a boundless experience while catching a glimpse of striking scenes as they sail past your window. 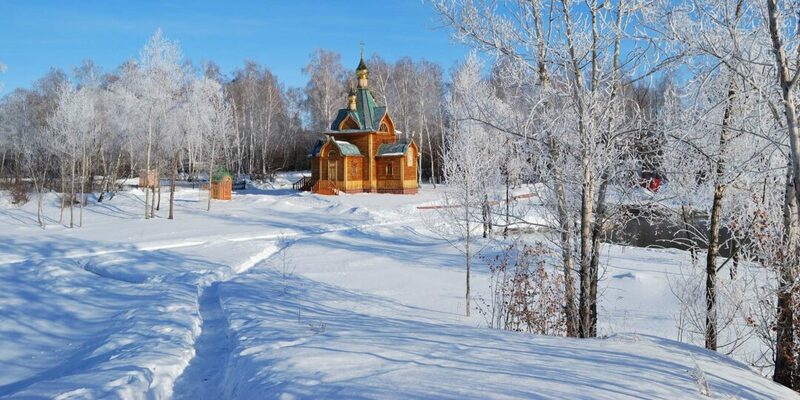 Indulge in a luxurious new year adventure in a Siberian winter wonderland. Enjoy every comfort, delicacy and delight in a whirlwind of authentic cuisine, steaming drinks, stunning scenery and fascinating activities in glittering cities and sparkling countrysides. Ring in the new year in style on this eight-day tour. 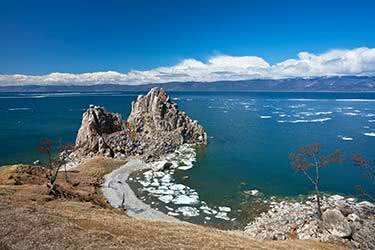 Discover the wonders, mysteries and delights of Lake Baikal and its stunning surroundings. 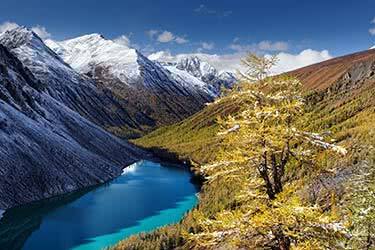 Get immersed in the heart of Siberia on this memorable ten-day journey from the cities and villages around it to the sacred islands in the middle of it, to the tops of towering cliffs and to the center of lush green forests. 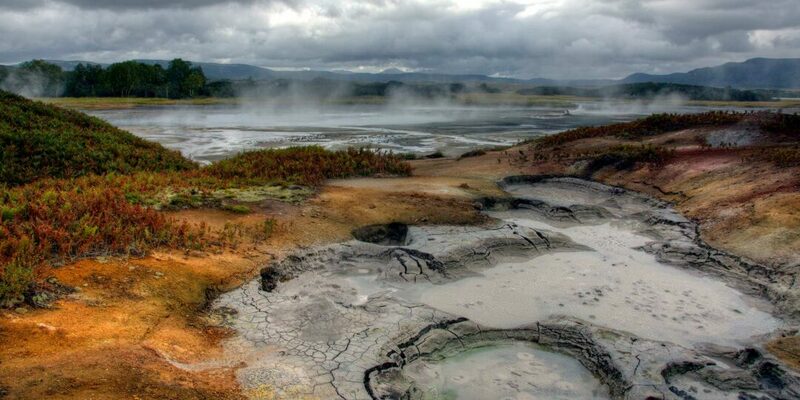 Plunge deep into Siberia for a unique opportunity to explore the mysteries and histories of the ancient mountain civilization of Tuva and Khakassia. Over ten days, venture from the city, deep into the mountains and taigas of Siberia, camping in traditional yurts beneath starry skies. 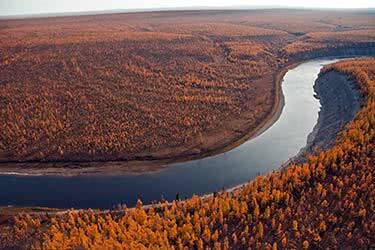 Travel the moon-like landscapes of Russia’s Putorana plateau with this exclusive eight-day itinerary. The tour will take you through one of the least-visited, most sparsely populated areas of the globe, where sensational natural beauty prevails under a sun that never sets. 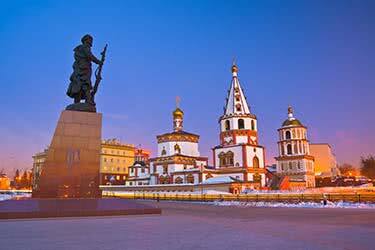 Traveling across Siberia’s expansive landscapes, this 15-day itinerary will take you through three iconic republics that feature the very best that Russia has to offer. 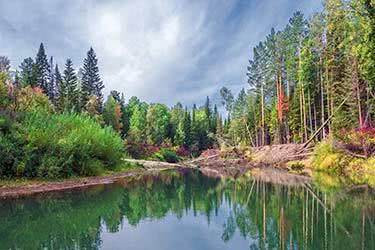 On an aesthetic route from Krasnoyarsk to Moscow, you will uncover ancient traditions and alluring sights, hidden amidst stunning natural scenery. Although the sheer vastness of Eastern Siberia might overwhelm some, this handcrafted seven-day itinerary guides you to the region’s must-see spots. Venture from Tomsk to the more built-up Novosibirsk, through the ancient city of Omsk, ending in Tobolsk after a week on the road and and the famous Trans-Siberian rails. 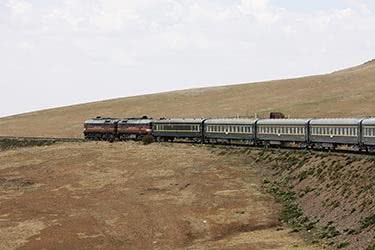 Embark on the world’s most famous overland journey from Moscow to Beijing, delving deep into the Siberian wilderness along the way. Cross three countries and two continents - accumulating almost 3,500 miles, all whilst bunking down for the night in the train, waking up to an ever-evolving landscape each morning. 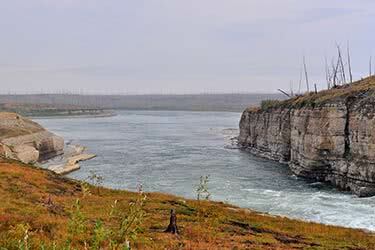 This 9-day itinerary features the very best of Siberia and Mongolia. 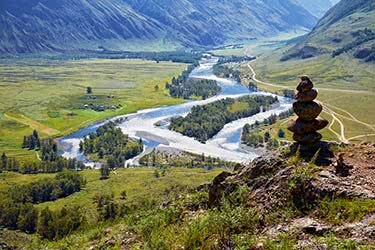 Experience the extremes of this region, from rustic villages, hidden within the Altai mountains, to awe-inspiring landscapes and the raw natural beauty of the Chuysky Tract Highway. 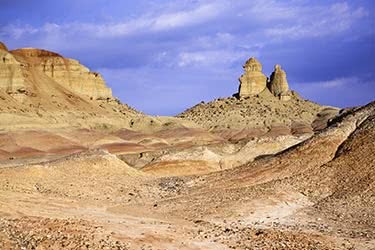 This 10-day itinerary promises to bring you to your senses as you travel through a world of contrasts from Siberia and over the Mongolian border. Crossing over mountains and past mysterious lakes, you will encounter awe-inspiring archaeological remains and carvings that make for a rewarding journey. 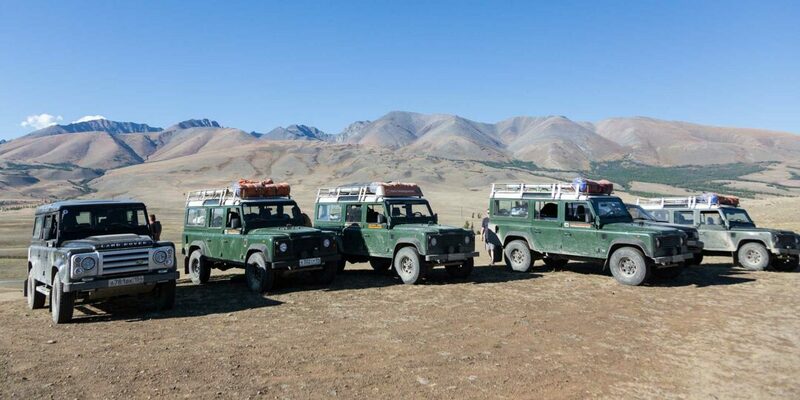 Covering three countries in 11 days, this adventurous overland trip takes you from the heart of Siberia in Russia, through to the remote Gobi Desert and over the recently opened border between Mongolia and China. 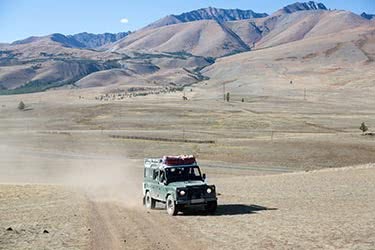 Venture where few travelers have gone before - isolated Siberia and the rural South Gobi Desert in this 16-day tour through Russia and Mongolia. Meet isolated cultures in the desert and learn about Soviet-era times from within an authentic setting as you stay in luxurious hotels and camp underneath the stars. 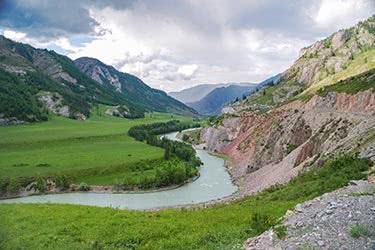 Three different countries in only a week-and-a-half, this epic overland journey takes you from China, over the recently-opened border with Mongolia, through the Gobi Desert and along the breathtaking Chuysky Tract to Russian Siberia’s unofficial capital, Novosibirsk. Immerse yourself in Siberian natural beauty as you explore the storied Altais for more than a week. Spend nights beneath the stars and days on the roads, lakes and rivers that make up the stunning scenery of this majestic area. 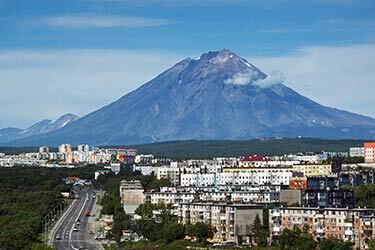 Ten memorable days of exploring Russia’s Kamchatka region will see you fly over volcanoes in a helicopter, scale summits at over 6,000 feet, dip in hot springs and venture on a breathtaking trip along the Avacha Bay to Starichkov Island - all while using your hotel in the city of Petropavlovsk-Kamchatsky as a base. Jay is fascinated by Siberia's spectacular landscapes, historic architecture, diverse ethnic mix and extreme climatic conditions - truly one of our planet's remotest lands. 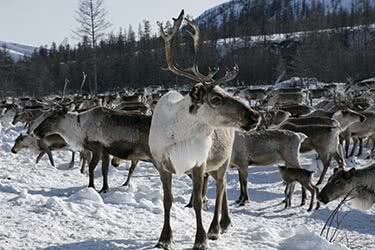 Next month South Siberia get a little bit whiter as the snows come to the frozen wastes. 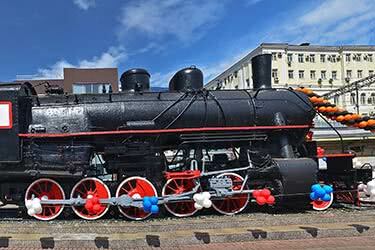 A route on two wheels and by rail from Tomsk and Tobolsk features lands of fairytale, literature, and architecture. 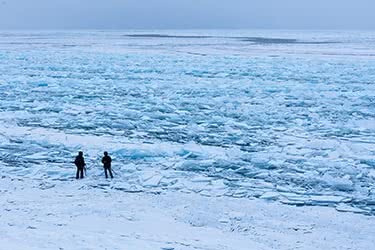 Baikal is the deepest and purest lake on the planet, a frozen sea in the heart of Siberia and an adventurer's icy paradise of driving, helicopters, and dog sleds. 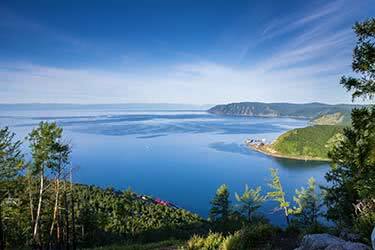 From the Old Believers to the Buryat bone crushers, its shores and islands are sacred to those who call Baikal home. 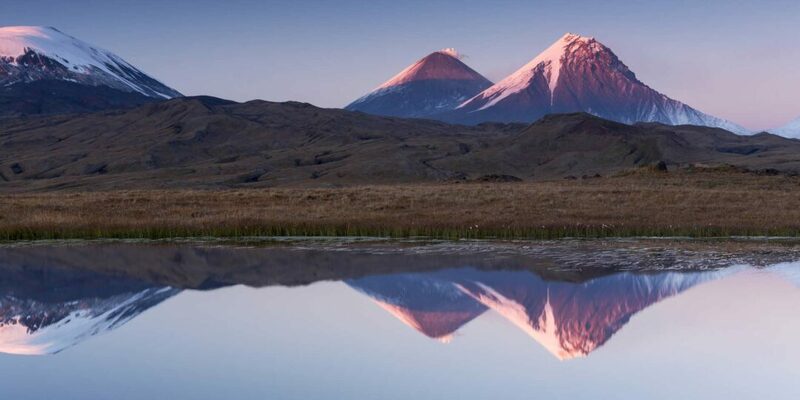 Kamchatka is a mysterious destination in Russia's Far East, located along the “Ring of Fire” and known for its more than 200 volcanoes and diverse wildlife. After exploring the charming Siberian cities of Tomsk and Novosibirsk for a day apiece, I prepared to plunge deep into the Altai mountains, a majestic range that runs along the borders of Mongolia, China and Kazakhstan. Here is a collection of our favorite natural sites from Siberia - one of the most expansive and sparsely-populated regions of our planet.